There’s something Tolkienesque about Malham: a single path winding through cattle speckled hills; the huge slab of blemished marble, towering above the beck. It’s like walking through Middle Earth, surely this is the design of a great author? Many tourists come to Malham. City-dwellers gape up at the crag and scream as climbers take whippers on a rope; bird-watchers spot the nesting peregrines with telescopic lenses. And we climbers have the pleasure of coming time and again, to test ourselves on some of the finest routes in the country. 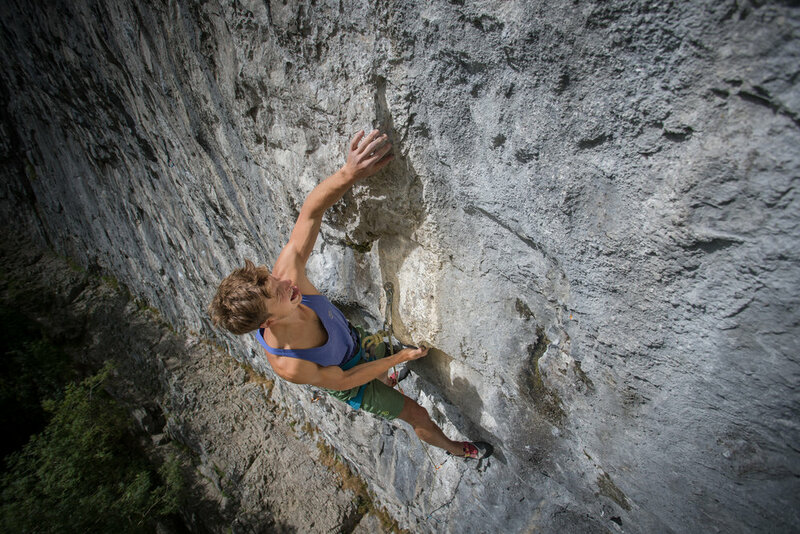 The style of climbing is, on first acquaintance, strange and inaccessible. Firstly, the whiteness of the rock makes hold location troublesome. 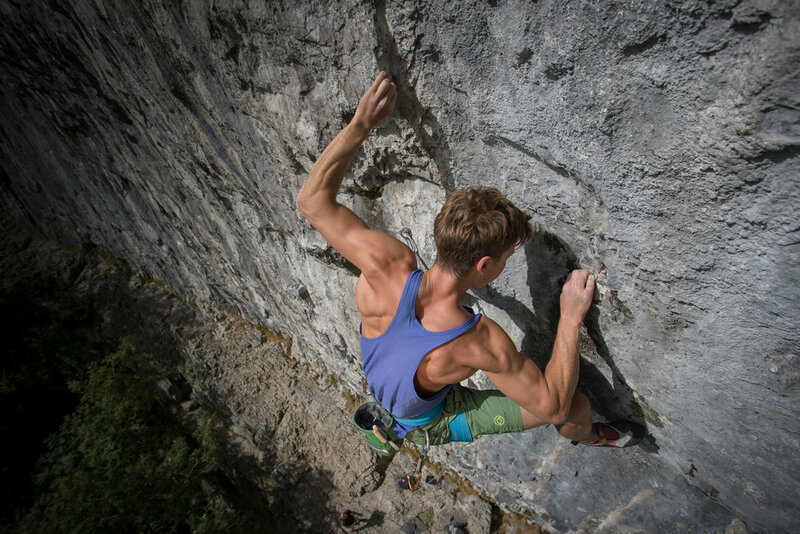 Secondly, the majority of the holds face ‘the wrong way’: side-pulls, undercuts and negative aspect smears. Climbing there has redefined what I think of as a foot-hold. It’s not uncommon for the crux moves to be a subtle foot stab. 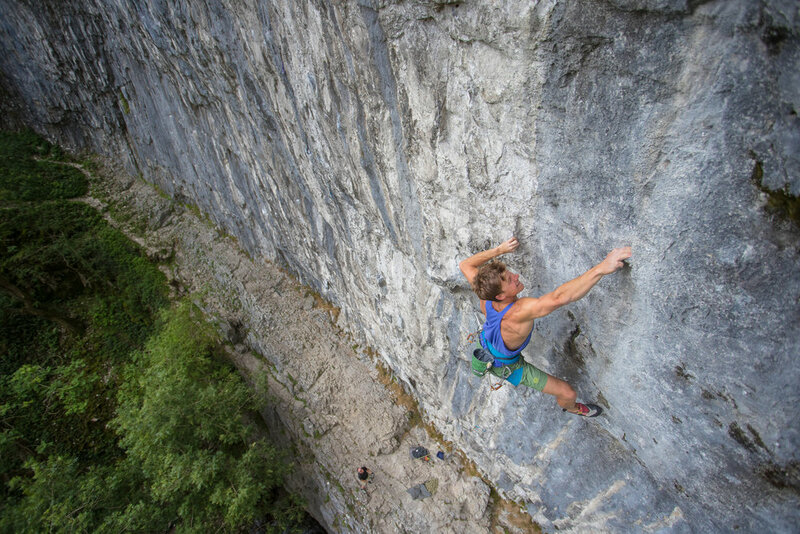 Malham requires a great deal of precision, body tension and bicep power. Although not terribly steep, the climbing is some of the most strenuous and technical I have yet to come across. The bit I’ve read the most from David B. A. Jones’s seminal book The Power of Climbing is the chapter on Mark Leach. The story of his 46 day siege to make the first ascent of Cry Freedom in 1988 has given the route an infamous reputation. Although intimidating, the story also caught my imagination: a man locked in psychological warfare with himself and with the rock. I too wanted a taste of that internal struggle, to explore my limits on something ‘really, really hard’ as Leach quite simply puts it. Climbing near ones limits is an acquired taste. Turning up every session with the same positive attitude, knowing that most likely you’ll walk away empty handed, requires effort and determination not all are willing to give. And I wasn’t, until now. Project climbing requires self-knowledge and a kind of deep confidence that quicker ascents don’t ask for. You see it sketched on the faces of those about to step off the ground on their project. Doubt and fear, but also confidence and this hope that this time, the stars will align and this time they don’t fall off. The longer I climb, the less I think of it as an athletic pursuit, rather a skill or an art form, something to be honed and mastered. I used to play the cello when I was at school. I would spend multiple sessions practicing a piece of music, perfecting it, going over passages dozens of times in succession in order to build the necessary muscle-memory. The parallels to redpointing a route are uncanny. With Cry Freedom I would try the top crux on repeat until either my fingers or belayer gave up. Alongside the cello I also learned meditation: it was a pretty left-field school. For some reason–through immaturity or lack interest–I never felt I reached that zen state. But the mental rehearsal of a route is the closest I come to meditation. Going through these silent projections of routes is like entering a palace of the mind, unbound by temporal and physical constraints. I’ve always felt that the ability a concert violinist has to recite a sonata by heart is shared by a climber visualizing an intricate, involved pitch. It’s a deeper, more instinctive part of the brain at work. I tried Cry Freedom over two seasons. The first season, fall 2017, I managed to clip the chains to an easier link dubbed The Great Escape by first ascensionist Jon Freeman. A few days later the route succumbed to British winter and no amount of towels or tin foil could save the holds from seepage. But the full route remained in the back of my mind, like a message notification on your phone that hasn’t been opened. It wasn’t until September 2018 that I dedicated the time to trying the route once more. After each session I wrote in my diary on how things had gone. It’s something I do with all projects, and sometimes I end up with pages and pages of handwritten scrawls detailing the minutiae of the route. Slowly, surely, the moves became fluent and the links grew longer. The previous session I had fallen off the last move of the bottom boulder crux, a burly V8 on side pulls, gastons and unhelpful feet. I knew if I got through this, I at least had a chance of the top V6 crux. It doesn’t sound hard, does it? And off a rope it isn’t, just a few full-extension moves on edges. But after 5.13d (French 8b) worth of climbing, those holds seem awfully far away. By chance, my feet didn’t slip this time on the polished foot jibs, and I scrapped my way through the next few moves to reach the knee-bar rest. The next few minutes were what I associate with ‘flow’. Quieting the mind and being intensely focused on the present. I executed the crux moves with a determination I hadn’t harnessed before on the route. Seconds later I was at the chain. Months of effort condensed into a single, euphoric moment. All those conflicting feelings finally unified. It is this feeling of flow that keeps me coming back to the art of rock climbing again, and again, and again.